If you’re a woman who has straight hair, you’re probably used to people always telling you that they wish they had tresses just like yours. And while there is a part of you that’s thankful, there’s probably another part of you that’s rolling your eyes simply because you know that thick hair can sometimes be a real beast when it comes to styling. 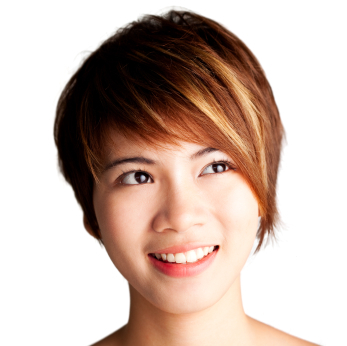 That’s why we wanted to provide you with some short hairstyles that are specifically for your type of hair. That way, should you decide to go with one of them, you’ll know exactly what it will look like. In short—pun intended and not intended—pretty darn spectacular! 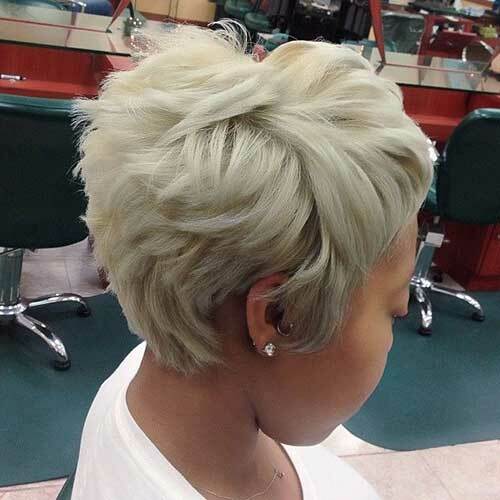 Who wouldn’t want an asymmetrical short shag like this one? 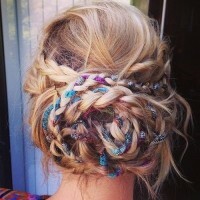 And with thick hair like yours, you’ll be able to add so much volume and dimension to it! This is basically pixie cut that’s in the process of growing out. We like it a lot because it would work well with so many hair textures whether bone straight, kinda wavy or even really curly. Speaking of bone straight, if that’s the kind of hair that you have, how about going with this style? 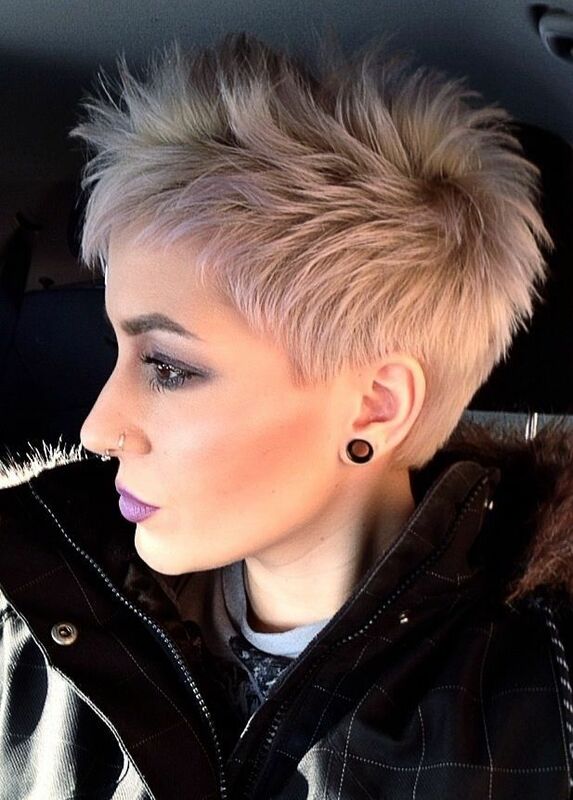 It’s a super short pixie except for on one side where there’s length down to your chin. Sweet, sleek and chic. What a nice vintage cut. And what a truly royal blue color that’s added to it. 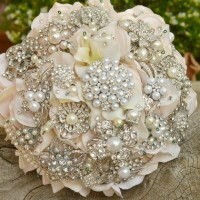 It’s fashionably refined and super memorable too. 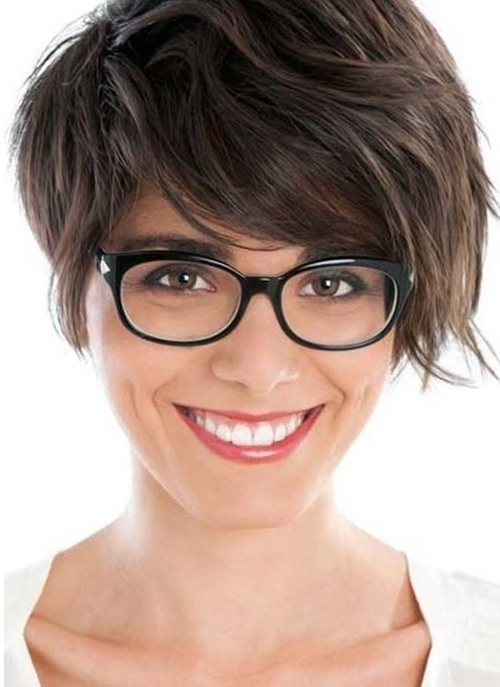 If you’d like a pixie cut with a bit of volume, ask your stylist to give you a choppy one like this. 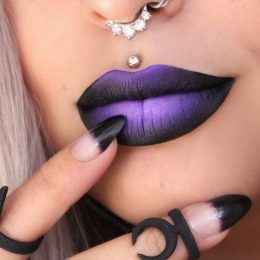 Then ask them what they think about you going with a color like this too! Can’t nobody rock a spiked haircut (and kind of spiked haircut) quite like a woman with thick hair can! This is basically a traditional pixie cut. But being that it’s on thick hair it has a bit more height than it would with a thinner texture. 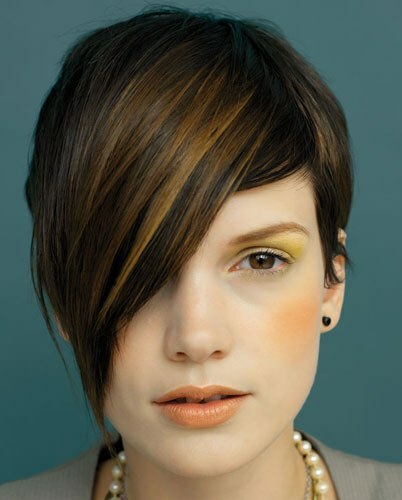 If the asymmetrical shag wasn’t quite your style, how about this one? We’re in love with this particular pixie cut for a lot of reasons. But probably the main one is the fact that the long front makes it look so modern and yet the simplicity of the cut still makes it really easy to maintain. Not all bobs have to be chin or even ear-length. We like how this one appears to stop right at the cheek and how well the length complements the blunt bangs. 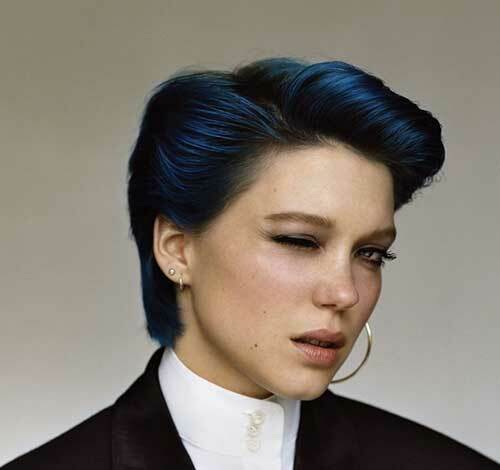 This haircut looks a lot like the asymmetrical pixie cut that we already talked about. Except it’s bright red. It’s a great representation of how much hair color can change a look. If you absolutely can’t imagine parting with the length in the front of your head, then ask your stylist to take a clipper to the back. You’ll still have styling versatility without a ton of styling drama to deal with. Is your hair naturally thick and wavy and you’ve been wondering what kind of haircut would go best with it? Here ya go. 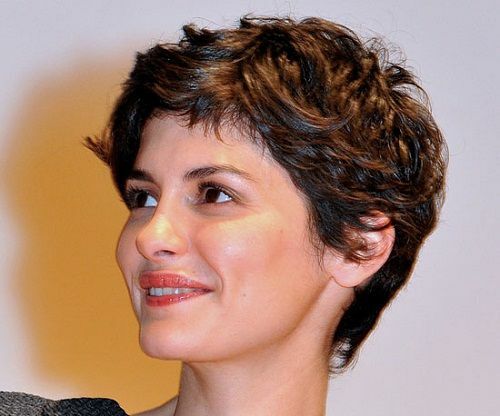 Hands down, this is one of the most delightful (and yet at the same time alluring) pixie cuts. Especially if your hair is straight and super thick. If you’ve been thinking about dyeing your hair but you’re not quite ready to make a big commitment, you can always start with highlights. Caramel-colored ones happen to be really big this year. 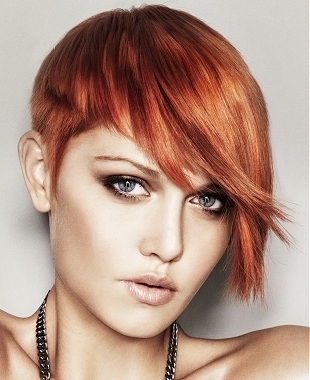 If you like standing out from the crowd, you will definitely do so with a choppy short cut like this one. A-line bobs are awesome. They are able to give you “a little bit of short” and “a little bit of long” all in one hairstyle. Or you can go with a really short bob like this. If your hair is wavy or curly, the thickness will make it extra full and shapely. Here’s another color trick to try. Rather than full-on color and rather than subtle highlights, do something in between. Go with some bold blonde streaks instead. 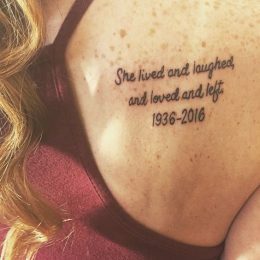 It’s way too cute of a look to ever regret it!